Today the wildest thing happened to me. I met this cop. I do not want to say where I met him because that might give away who he is and he does not want that. The deal is, he asked me where I worked. I said, "The Buffalo News." He asked what my last name was. I told him. Then he filled in the rest of my name. He said, "You're Mary Kunz Goldman." Then I stood there waiting for the other shoe to drop. One thing about Buffalo, usually when people figure out my name it is never because "Oh, I'm into classical music, and I've seen your name in the paper." It is always something else! The officer says, "Did you use to live on Delavan, on the West Side?" 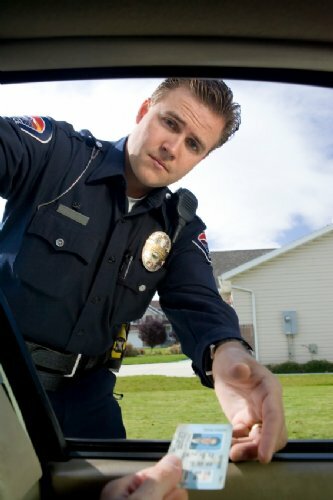 He said: "There was something that happened...."
I said: "Did you give me that ticket?????" Because I got a ticket a million years ago from a California stop. I kind of did a California stop sliding through a stop sign. At least the cop said I slid through the stop sign. It was at Delavan and Baynes if memory serves me. The cop served me, that was for sure. He served me that ticket. Anyway, back to today. The policeman nodded. Unbelievable! Not only was it 20 years ago or something that that happened, that I got that ticket, but I was just talking about it last night at my friend Gary's house. We were talking about tickets and I talked about that one. This policeman was so nice. A handsome guy and he said he had always wanted to apologize, he didn't know why he gave me that ticket, 29 out of 30 he let go, but I was the one he ticketed. Hahahahaa! He seemed to think I would be mad but I just thought it was funny. I told him, "Tell me your name, so we can be friends." And he did. But he made me promise I would not write it in the paper or anything. So I take that to mean I can not write it on the Web log. But about that ticket, I have the idea he ticketed me because I may have been -- well, to use a Leonard Pennario term, snotty. I had just been hired by The News and I had a paycheck for the first time in forever and I just did not care. I did not cry and I did not act craven enough. I think that was the problem. Even at the time I realized that, that something had changed and I had lost that humility that had gotten me off of tickets previous to that. I told the officer that today. It felt as if I were in a dream, meeting him and telling him that. Because I had always remembered that ticket. Only in Buffalo would you find that cop 20 years later, you know? Only in Buffalo would he remember you and introduce himself. I am telling you, this is the best town. So pleasant it is to have money!